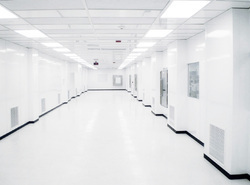 We are a leading Manufacturer of clean room puf partition panel, modular cleanrooms, modular operating theater, clean room door and clean room from Ahmedabad, India. 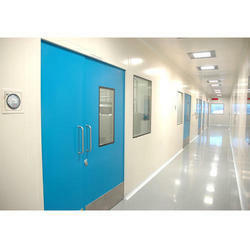 We have in our store a commendable range of Clean Room Puf Partition Panel. Developed as per international quality standards and guidelines, these products are widely used as a cooling media in various industries. Our products find their wide applications in varied chemical plants, petrochemical plants, petroleum refineries and natural gas processing firms. Fastened to extruded aluminium / GI profiles. With our spacious experience and skilled professionals, we are engaged in offering a wide range of Modular Cleanrooms to our esteemed clients. We are the Leading Manufacturer and Supplier for Modular Operating Theater. 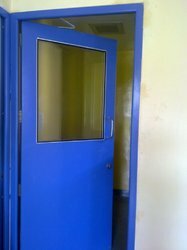 We are the leading supplier and manufacturer of Clean Room Door. We are the Leading Manufacturer and Supplier for Clean Room.